The Friends with a little help from some children in the playground helped to plant up the sensory garden in the playground yesterday. The planting scheme incorporates specimens including lavender, lemon balm, lemon thyme, curry plant and rosemary, all of which are fragrant, interesting to look at and tasty. We hope that this area of the playground provides rest and relaxation for children and adults in the playground seeking some quiet time. 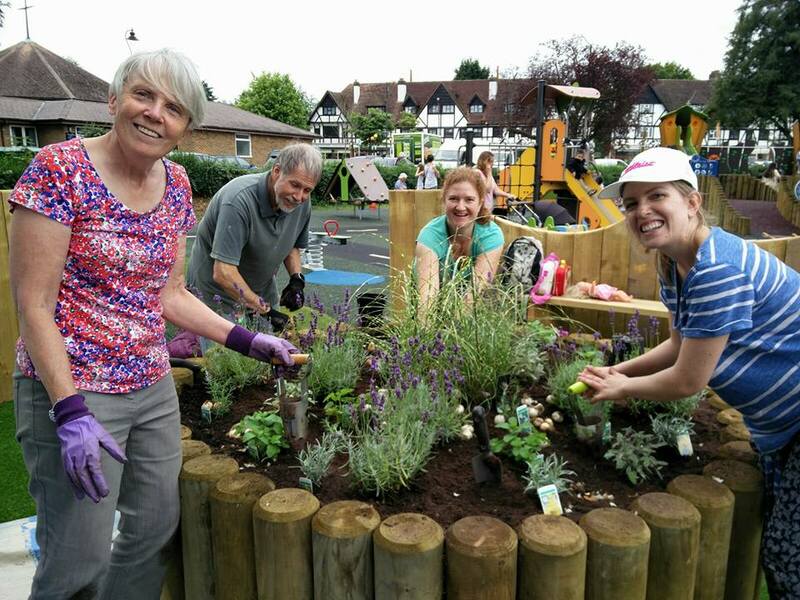 The trustees would like to thank Crossways Nursery for their donation of compost, bark and bedding plants for the playground, and Woodcote Nursery for their donation of lavender plants.